When you’ve been writing together for six years, you cultivate a creative bond that can’t be rivaled—and with that, brings some pretty cool tracks. 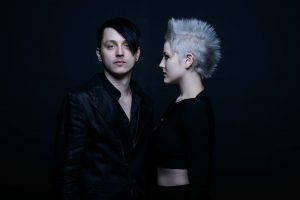 This is the story behind Black Satellite, a rock band beyond definition that’s about to drop their second single right here on idobi.com. Titled “Blind”, you can dive into the world Black Satellite creates with every note, just be ready to rock hard. The State College, PA duo also have plans to drop a forthcoming album titled Endless. Watch for that, and in the meantime, play “Blind” below!